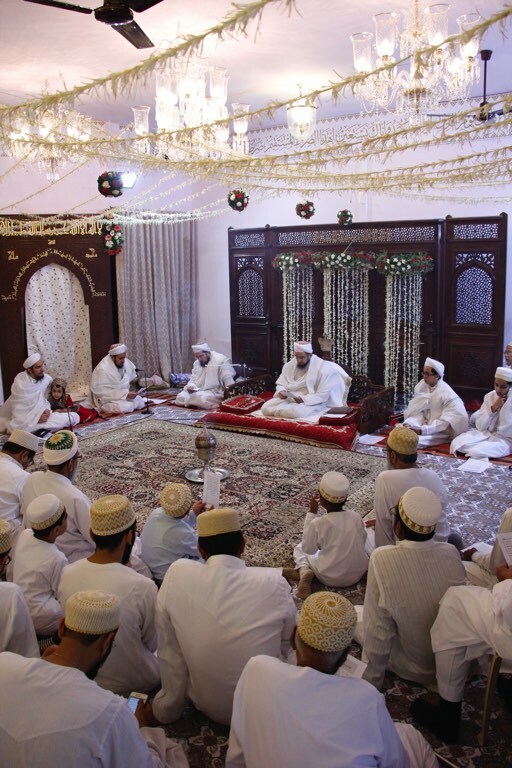 Syedna TUS led Fajr Namaaz and Eid Khutba in Iwan-e-Fatemi (Darus Sakina) and beseeched doa to Allah Ta’ala in a heartrending wasila. 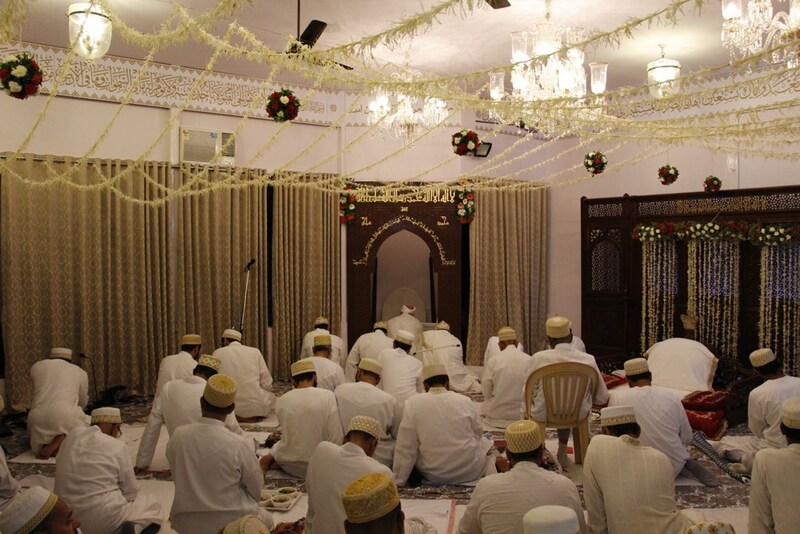 In the Eid ul Fitar Majlis, after Sharbat & Wadhawanu rasam, Mumineen recited Hilalun Bada qasida. 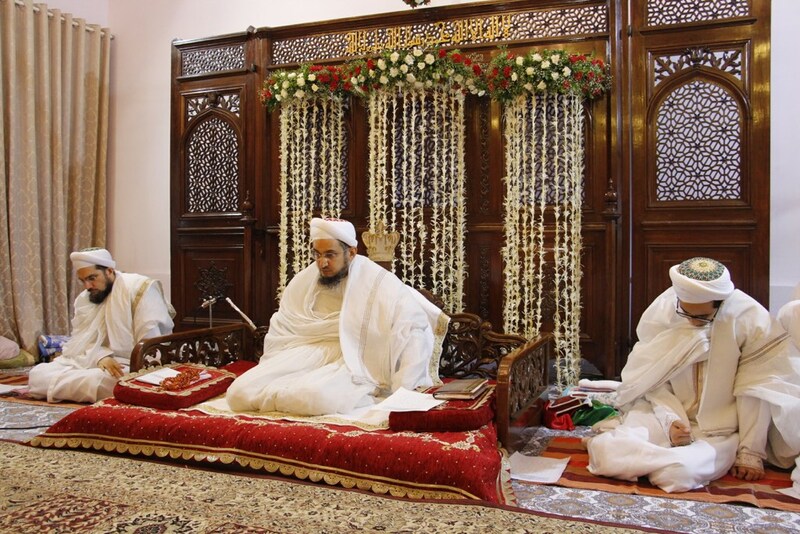 Syedna then delivered a short bayaan in which he bestowed laqabs (honorifics) to the Shehzadas of Syedna Khuzaima Qutbuddin RA. 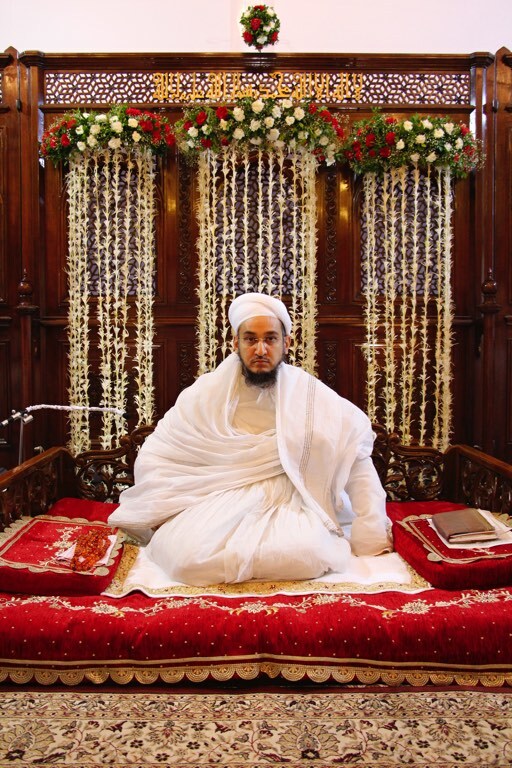 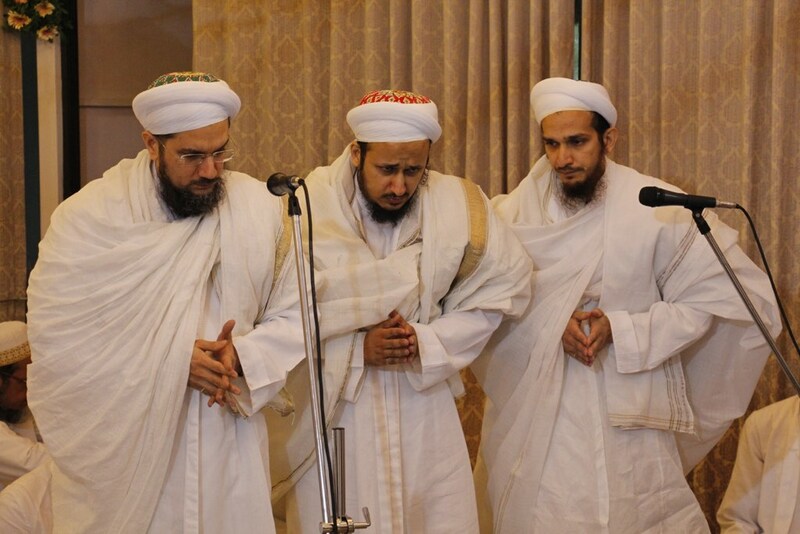 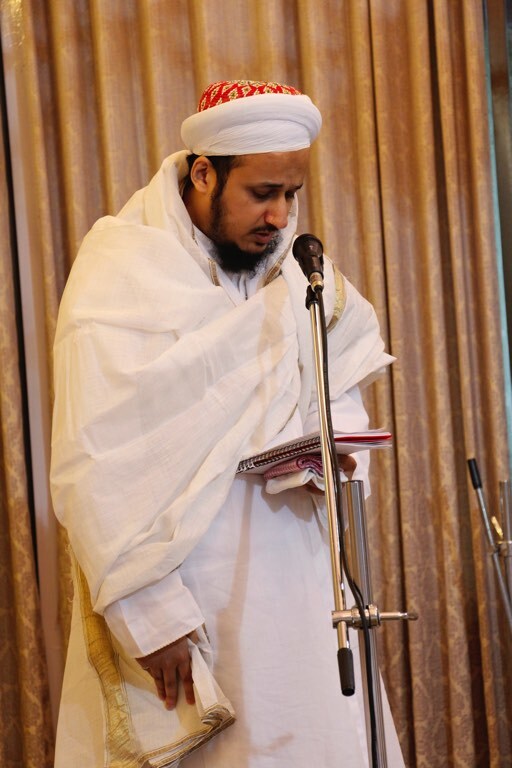 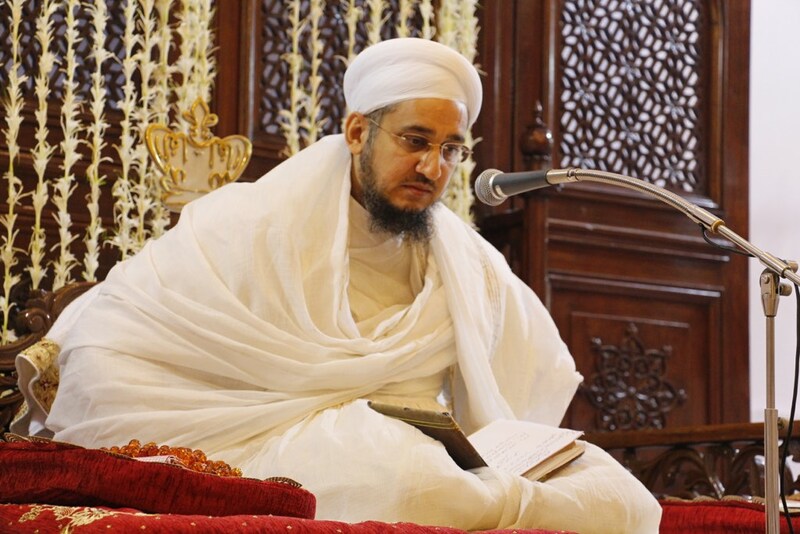 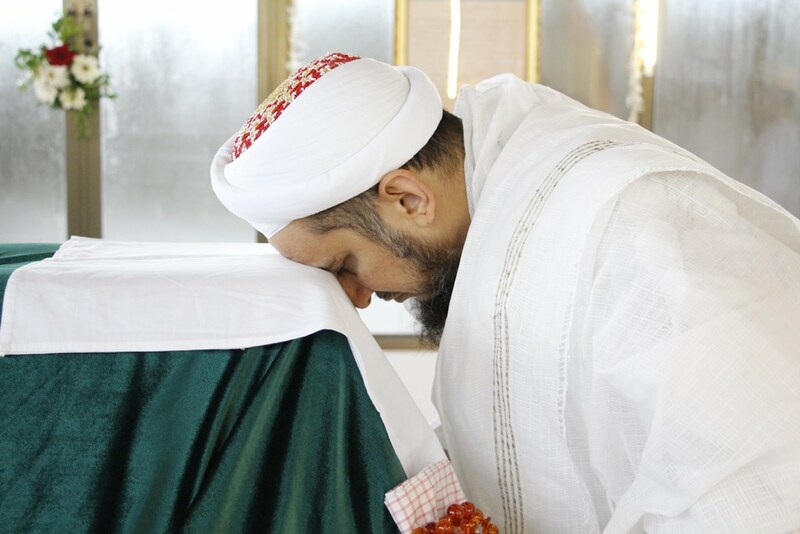 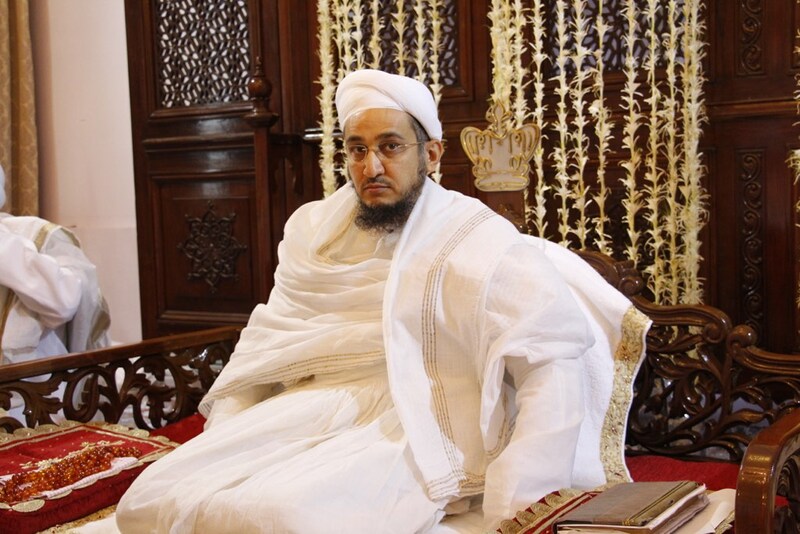 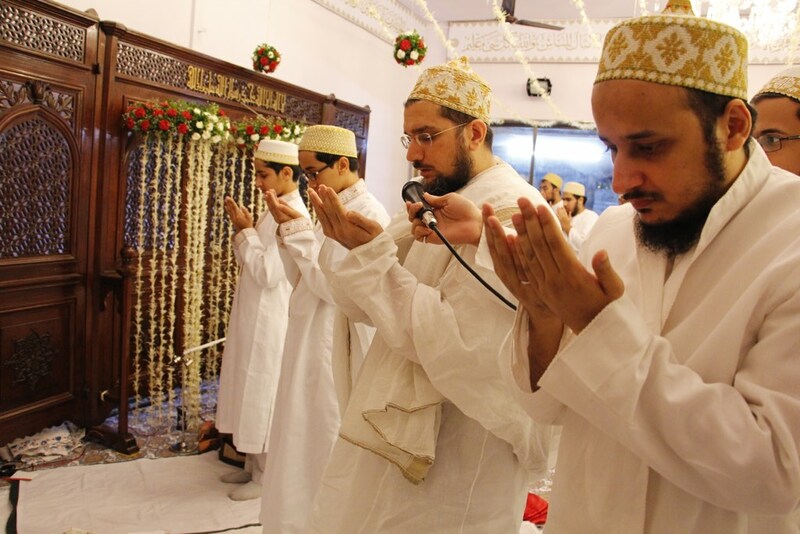 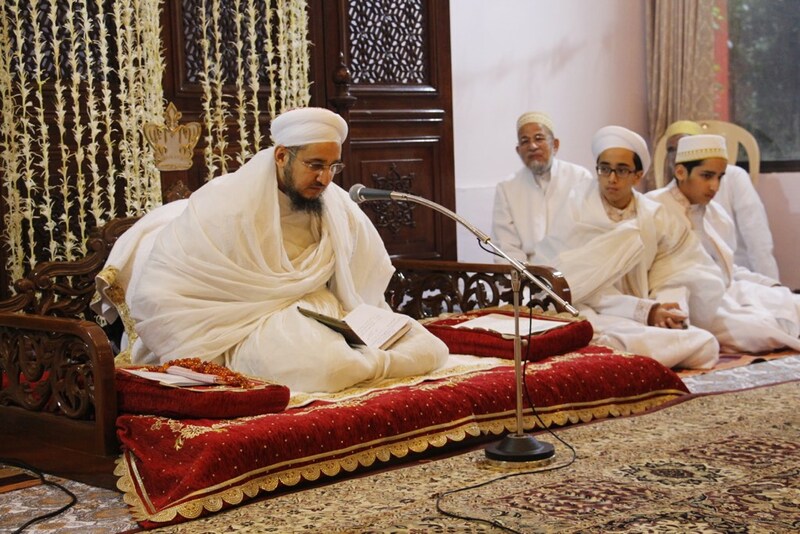 Shehzada Dr. Husain Bhaisaheb Burhanuddin delivered a sincere and heartfelt speech in which he remembered Syedna Qutbuddin and enlightened Mumineen with his ma’rifat and the ma’rifat and shaan of his successor Syedna Taher Fakhruddin. 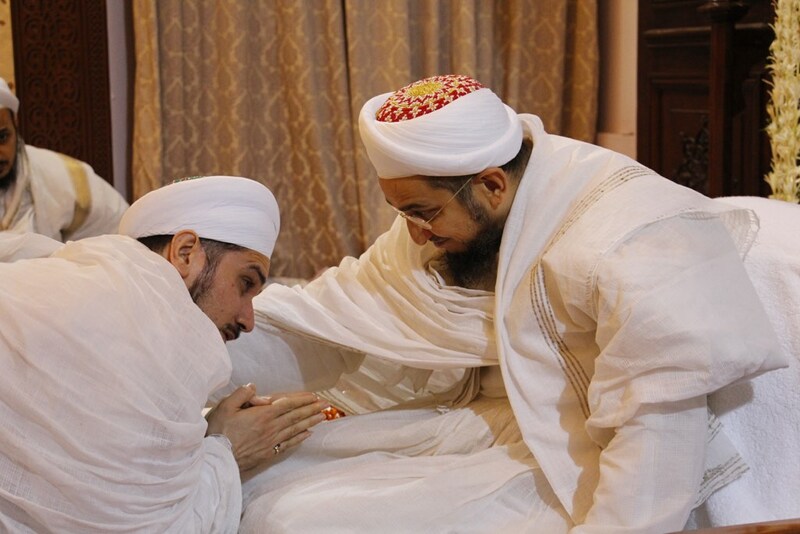 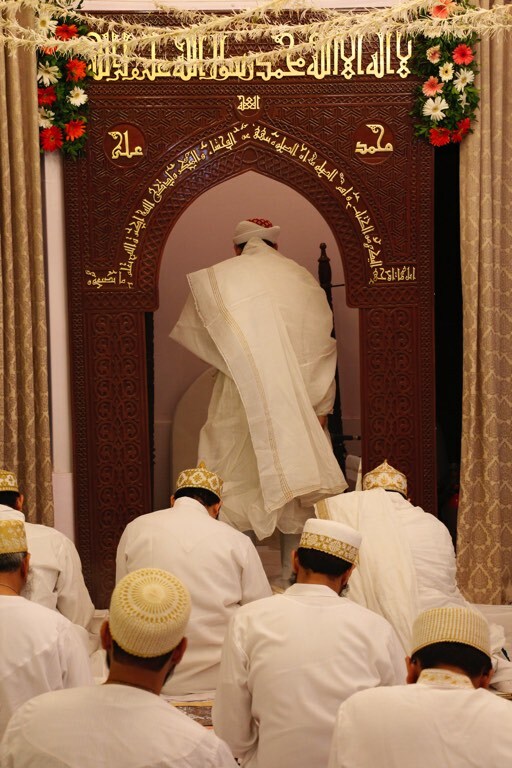 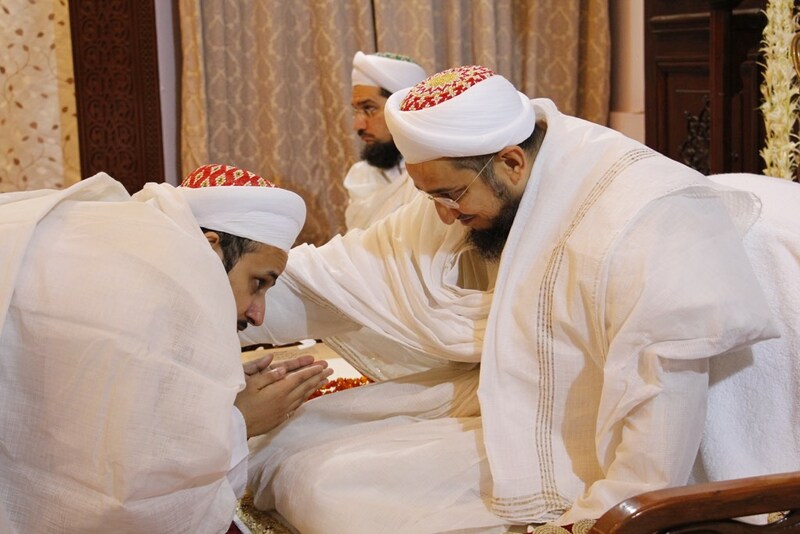 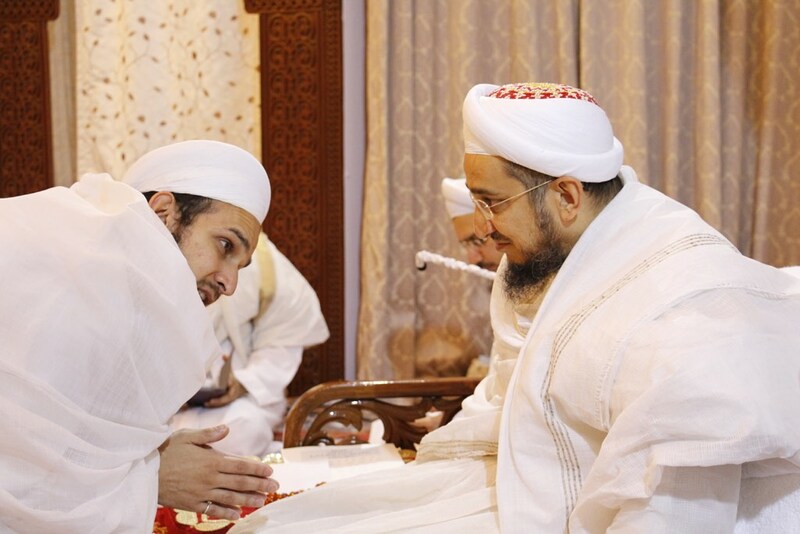 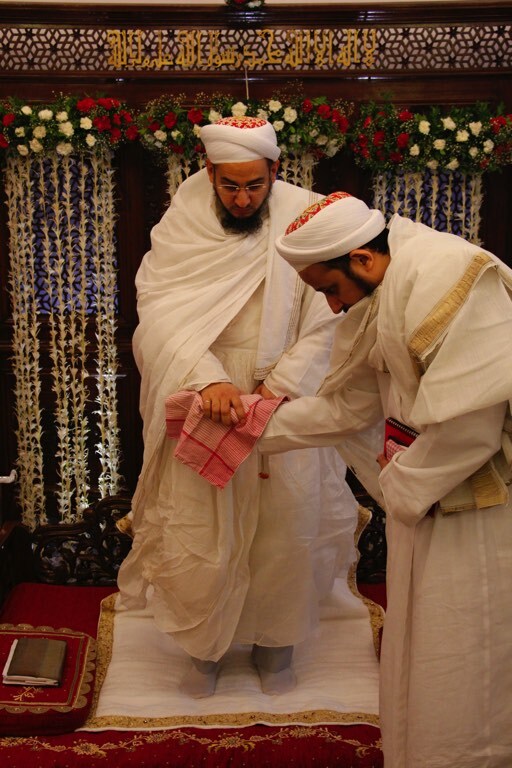 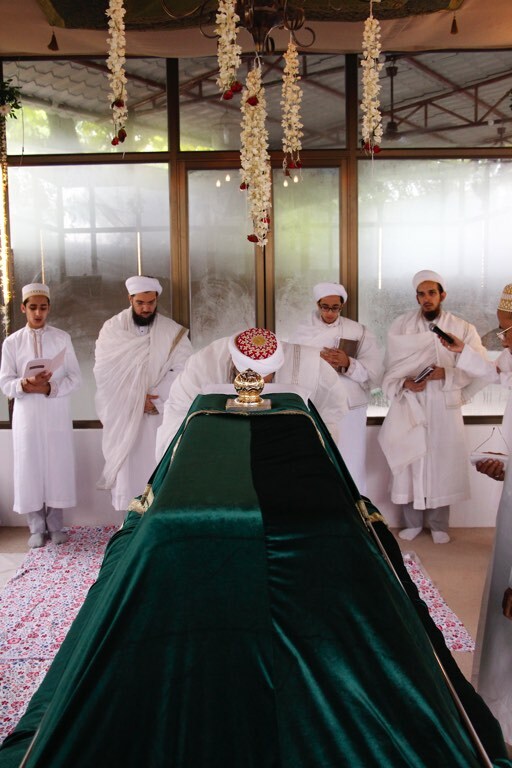 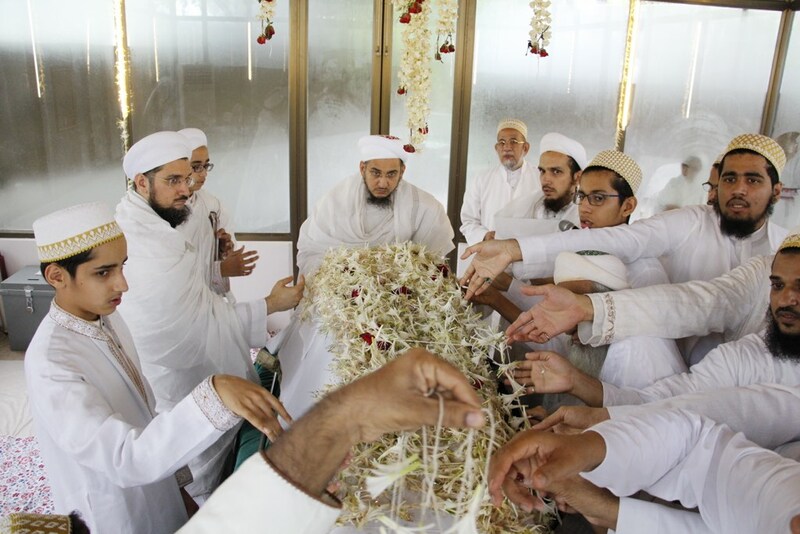 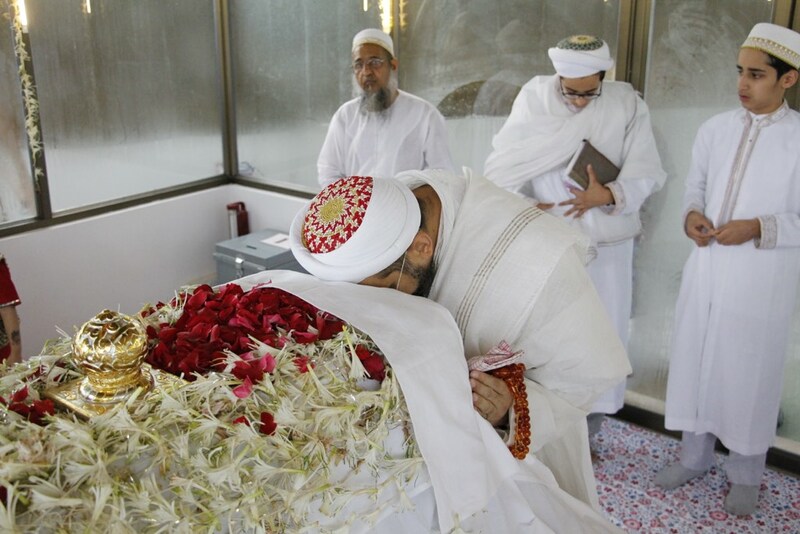 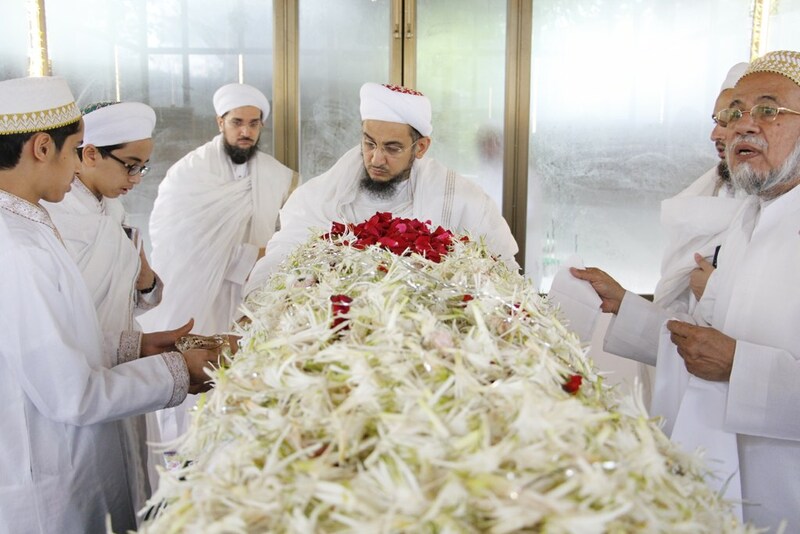 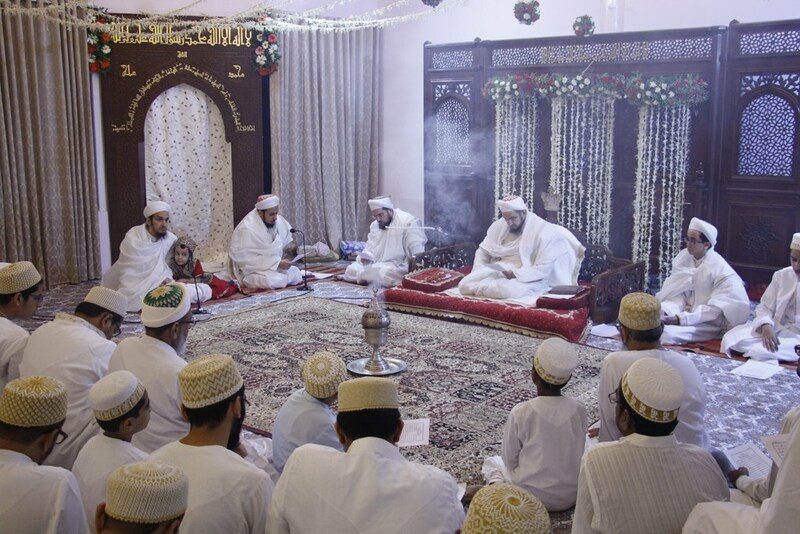 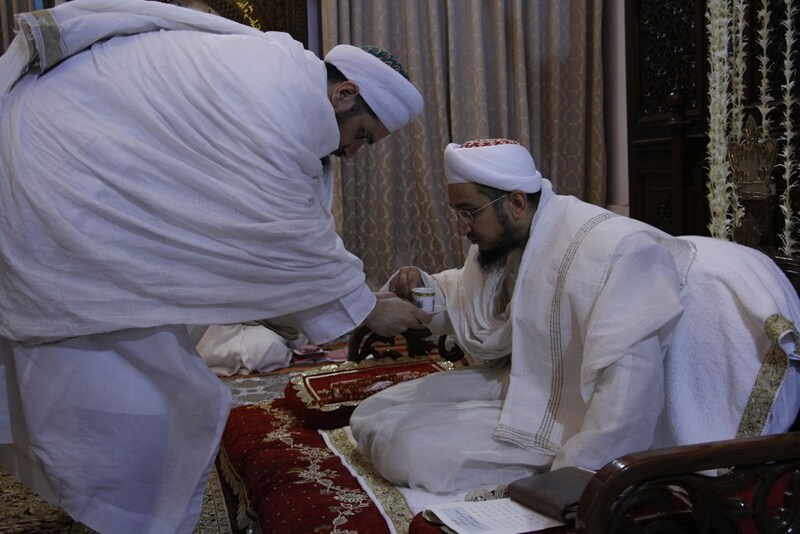 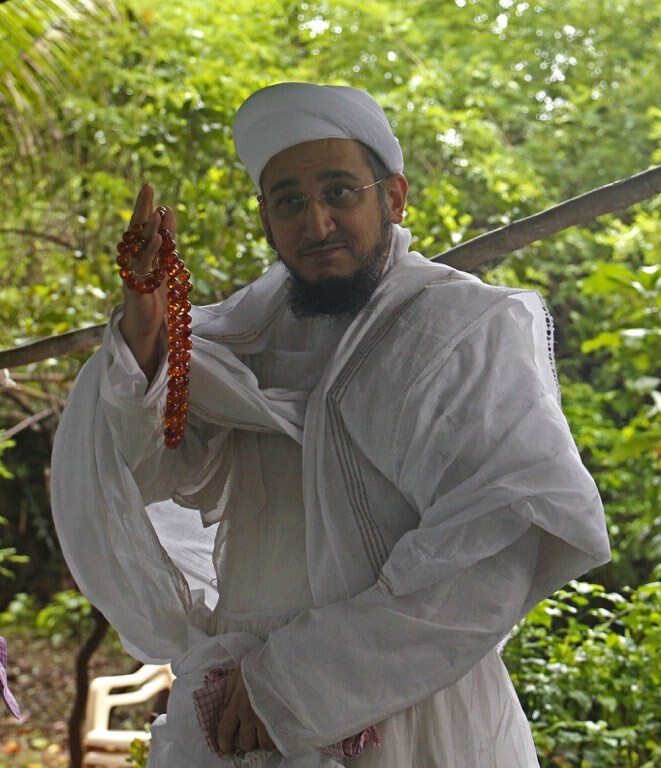 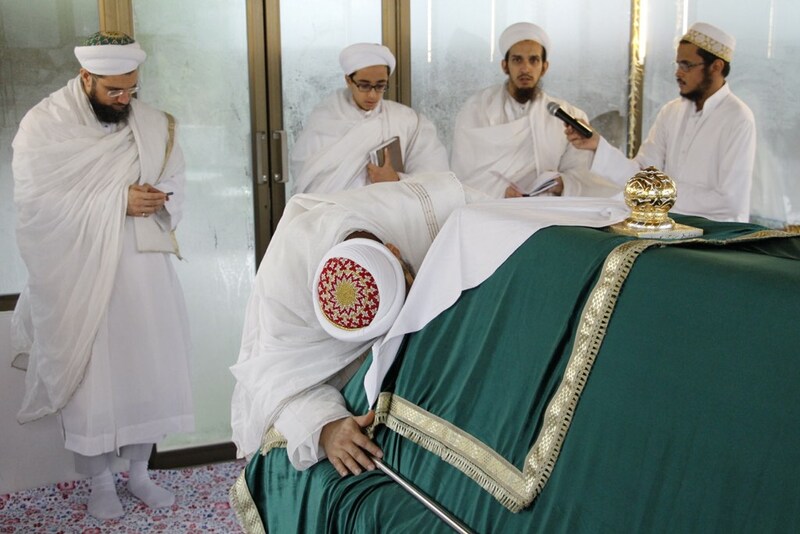 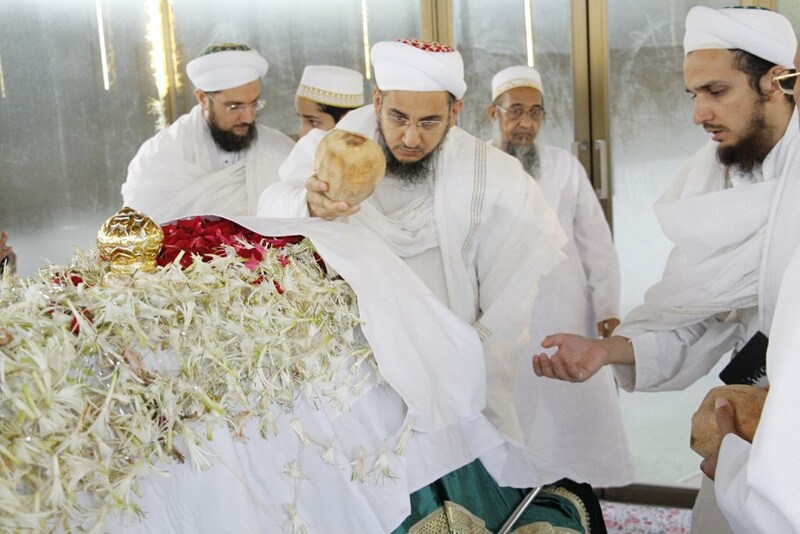 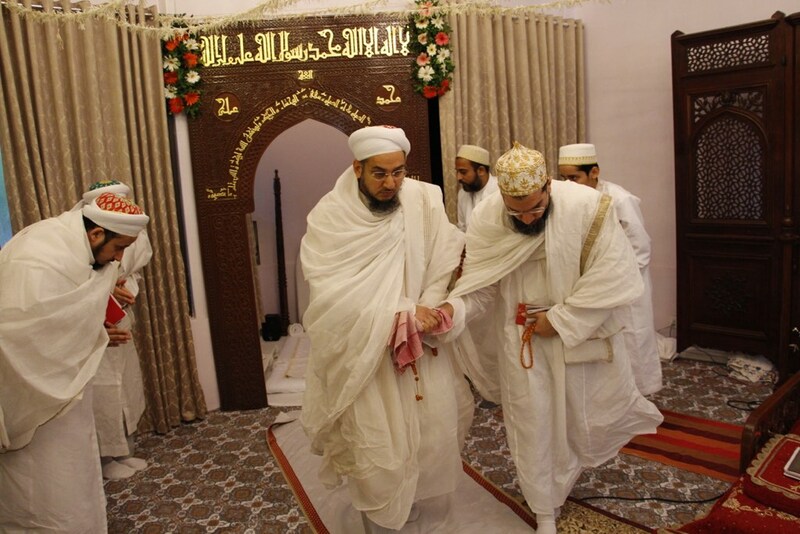 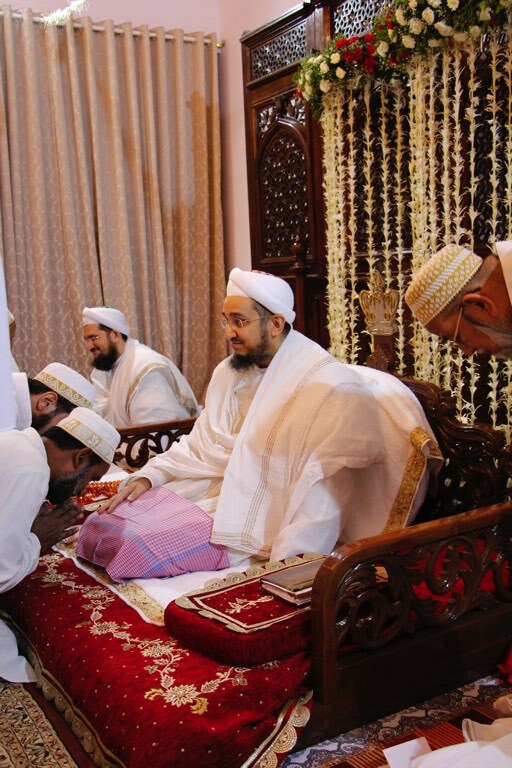 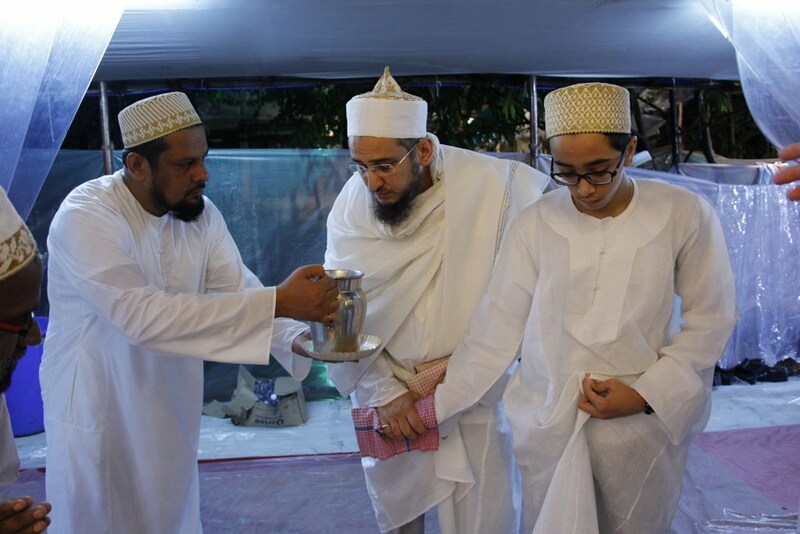 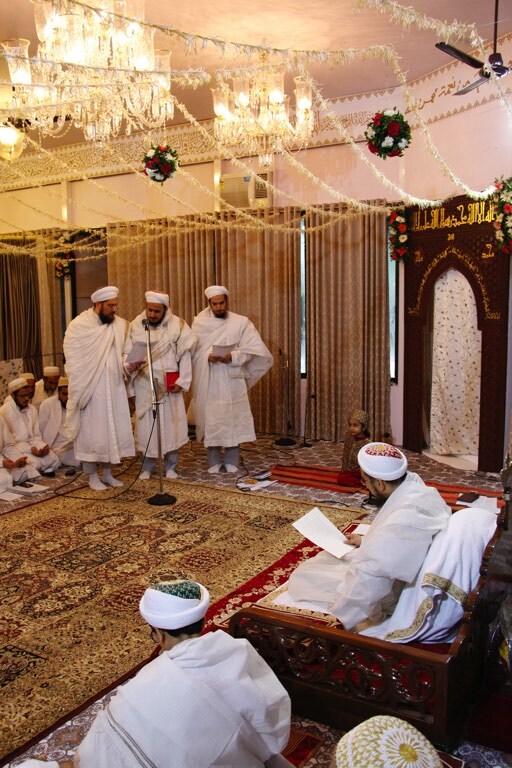 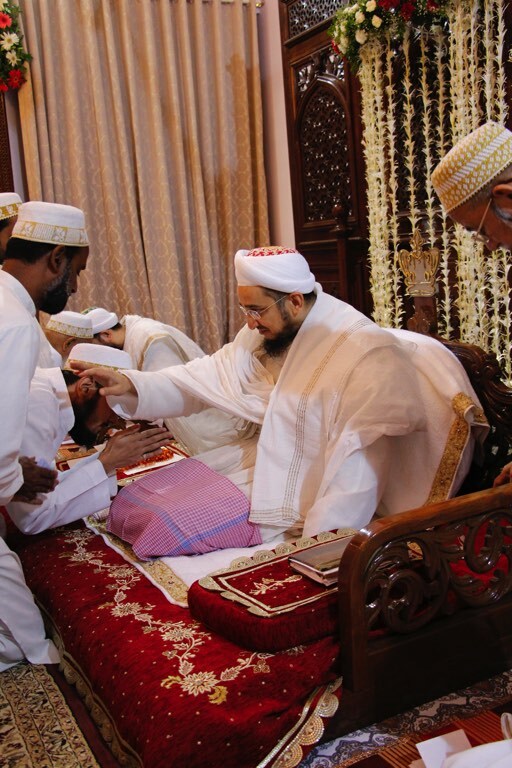 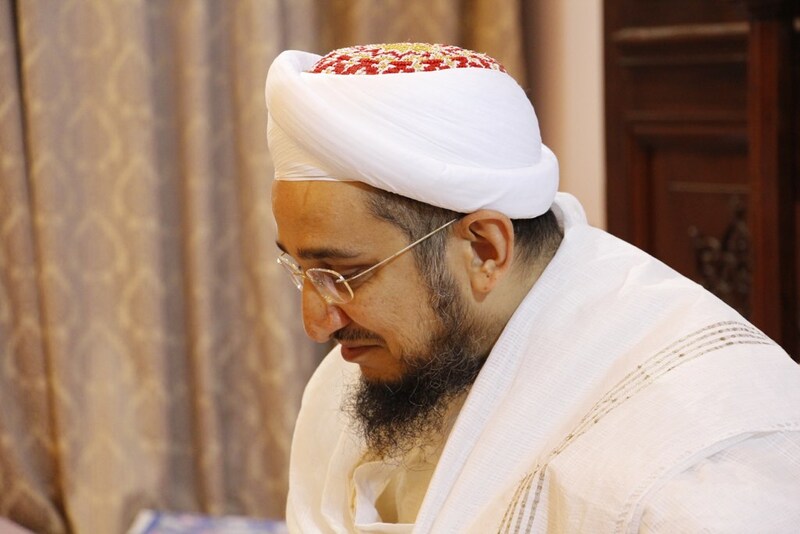 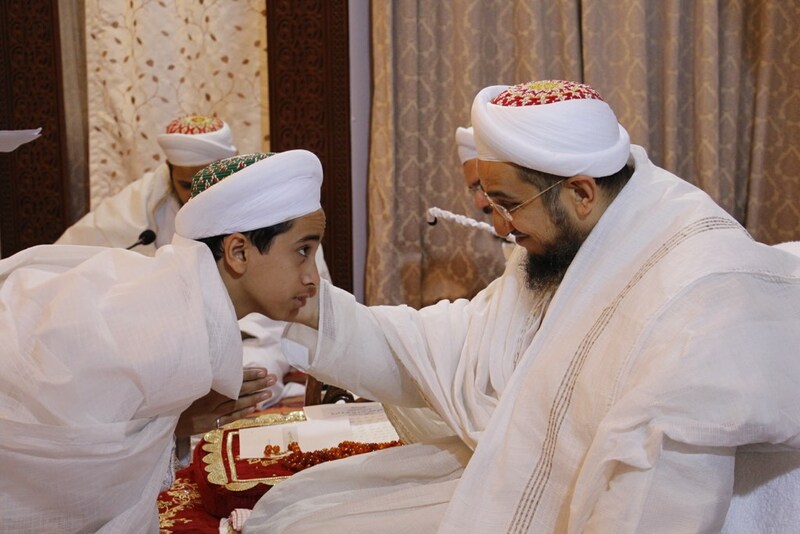 Finally, Mumineen received the sharaf of Syedna’s qadambosi. 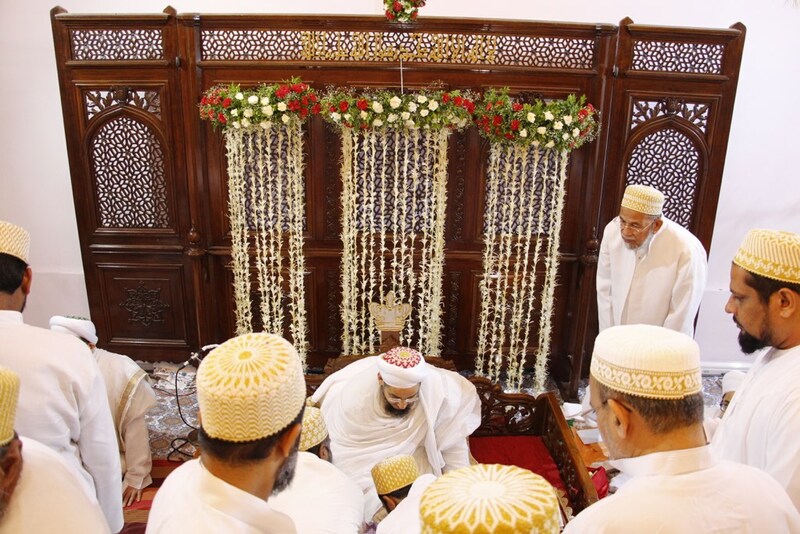 After the Majlis Syedna accompanied by Mumineen proceeded for ziarat for Syedna Qutbuddin. 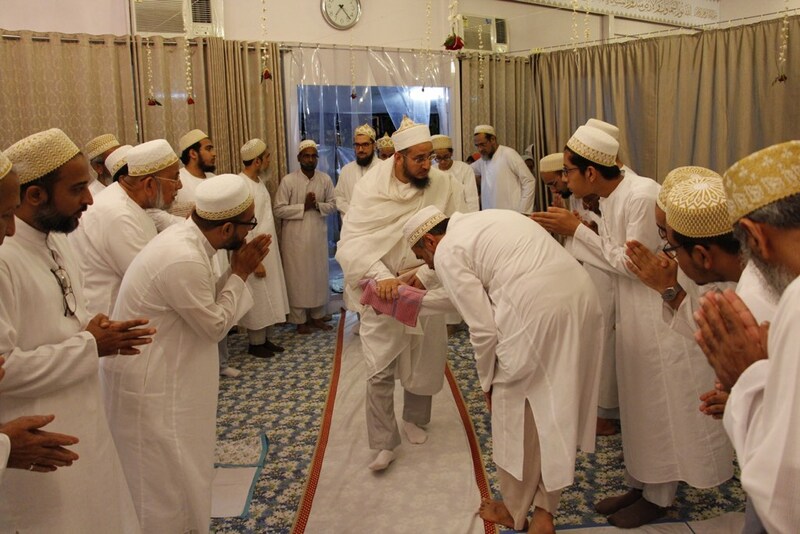 Mumineen then enjoyed Eid ul Fitar nashta jaman in Iwan-e-Fatemi. 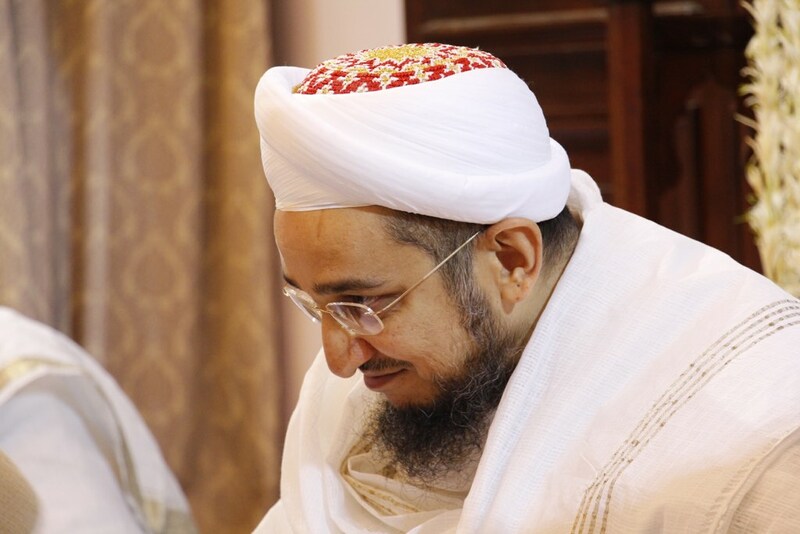 May Allah Ta’ala grant longest life to Syedna TUS so that we may continue to garner the barakat of Shehrullah one Ramadan after another.